Above: Morinville Centennial Community Gardens President Paula Collins provided a tour of the garden at Champlain site. Paula Collins, Sherry Cote, Kendra Verheul, Emily Neis and Donald Fairweather. Communities in Bloom (CIB) Evaluation took place in Morinville Aug. 7. Communities in Bloom Provincial Judges Emily Neis and Sherry Cote were accompanied by Town of Morinville Operations Manager Donald Fairweather and Town of Morinville Client Services Representative Kendra Verheul. 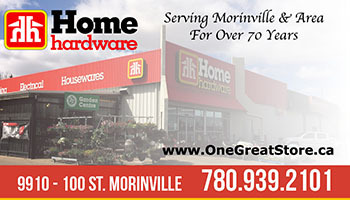 Morinville is entered in the CIB Competitive Category in the 6000-15,000 population size. Also in this size category is Coaldale, Taber, and Strathmore. 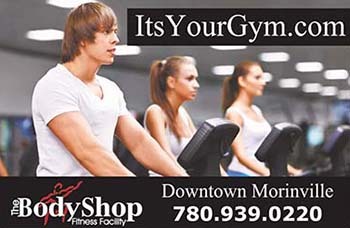 This is the first year Morinville has entered into the competitive category since participating once again. The results will be released the Sept. 28 and 29 at the Awards Ceremony in Strathcona County. Communities are rated from one to five blooms and last year Morinville received the highest Bloom rating with 5 blooms and more than 82 points in the non-competitive category. In 2016 the Town received 4 blooms. Evaluation criteria includes tidiness, environmental action, heritage conservation, urban forestry landscape and floral displays. The tour included town entrances, South Glens, 100 Street, trail, Industrial Area, Heritage Lake, Fish and Game pond, Dog Park, Skyline Diamonds, Community Gardens, downtown Morinville, Town Offices, SJB Park, Museum, St. Jean Baptiste Church, Fable Gardens, The Lakes Area, residential and Best Garden Winners as well as other stops. At the Fish & Game Pond. 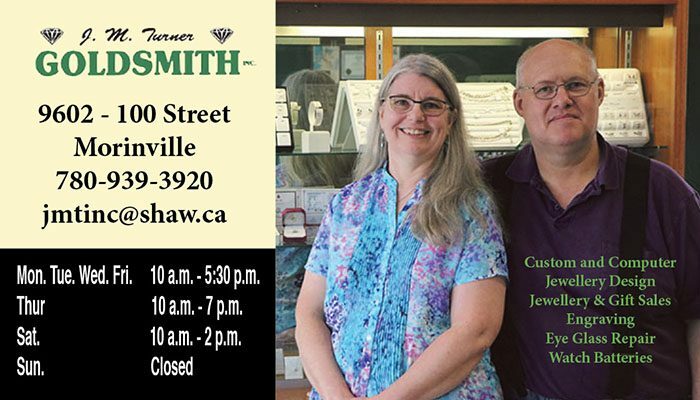 Donald Fairweather, Emily Neis, Kendra Verheul and Sherry Cote. At the St. Jean Baptiste Park.